International Investment’s latest ezine Asia Special Report is out tomorrow. 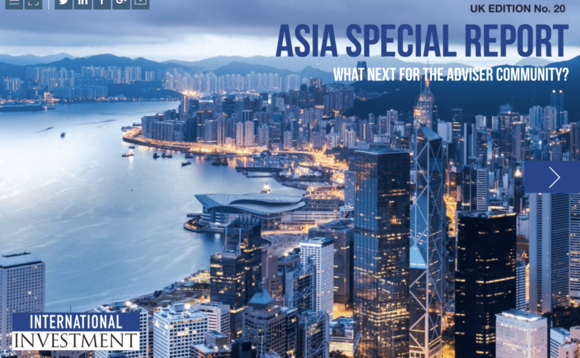 Featuring a mix of features, news and exclusive video reports direct from Hong Kong and around Asia, we provide insight from both advisers and industry key players such as: Holborn Assets, St. James’ Place, The Fry Group and deVere Group. We also feature our Frontrunners section features by Hansard International and Investors Trust, as well as all the latest international and UK news. The ezine – our 20th edition of International Investment since we relaunched – will go live in our early bulletin, at noon UK time tomorrow. Make sure that you tune in and grab a digital copy. Click here to subscribe to our newsletter and receive our ezines free of charge.